While job seekers agree it is vital to connect emotionally with an interviewer, it can be tough finding common ground. 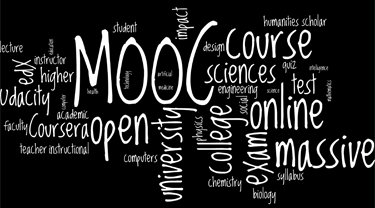 A MOOC (Massive Open Online Course) provided the connection that lead to Laura Kidder Schlauderaff landing. When Laura’s husband was transferred from Atlanta, Georgia, to Texas in the fall of 2013, she left behind a job she had held for seven years as Online Product Manager with a publishing company. In her new community, Laura volunteered her marketing and communication expertise. For her homeowners association she worked on the newsletter, and for her church she spearheaded new social media efforts. Laura participated in several job networking groups in Texas. A life coach volunteering at one group suggested Laura take a class to strengthen her competence in a few areas. He told her to look at MOOCs for an online class. She found a marketing class, but the enrollment deadline had passed. Her second choice, Content Marketing for Professionals: Engaging Audiences for Your Organization offered by Northwestern University — a free six-week class from Coursera — began mid-January. The course addressed marketers’ needs to create content that engages audiences in different media and platforms. Laura jumped into the course lectures, readings and discussion boards. The material she learned strengthened her volunteer work. In the discussion boards, she asked for advice on these projects, and her classmates generously shared ideas which she tested. Laura had applied for a position as Manager of Web Content at Tarrant County College in Dallas-Fort Worth in December 2013 but did not receive a call to schedule an interview until the first week in January. From her networking groups, she knew what questions to ask during the interview request phone call: how many people would she be meeting, and what were their names. With this information in hand, she was able to thoroughly research the Tarrant County College phone interviewers. Finally, in late January, the interview took place. One interviewer asked what Laura had been doing since she left her job in Atlanta. It was easy for Laura to answer: she had been building skills through volunteer work and taking a MOOC for professional education. She described to her interviewers what she had learned in the MOOC and how she would apply those ideas as Manager of Web Content for the college’s website. A woman on the interview panel spoke up, saying she also was taking the same MOOC. They were classmates. Laura’s immediate thought was, “That’s a boost!” She said, “This made my confidence level go up.” Laura left the interview feeling good but not clear how the interviewers felt about her. She emailed a thank you note the day after the interview, a Friday. On Monday, the Hiring Manager asked for her references. Wednesday, he offered her the job. She started at the end of February. Laura’s story is inspirational. Taking the MOOC demonstrated Laura’s willingness to learn. It also gave her another way to genuinely connect with someone who turned out to be important. This MOOC really did help Laura land her new job.